___NEW VOICE CONTEMPORARY GROUP - This group is for middle school aged children through adults. 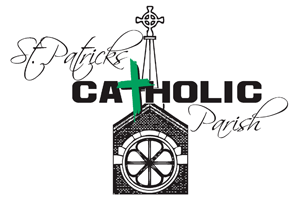 Practices are Wednesday evenings from 6:30-7:30pm in the church and sings contemporary Christian music once a month at the 11:00am Mass. ___BELL CHOIR - This group learns handbell techniques to provide accompaniment and enhancement of liturgies. They play at different mass times once a month. Rehearsals are on Wednesdays from 5:15-6:15pm in the choir room. Contact Shirley Kreikemeier at (402) 727-4892. ___NEW LIFE FUNERAL CHOIR - This choir provides music at funeral liturgies and rehearses 30 minutes before each funeral in the choir room. Contact Colette Robinson at (402) 721-2397. ___HISPANIC CHOIR - This group rehearses every Tuesday at 7:00pm in the choir room and plays at the 12:30 Mass each Sunday. Contact Paul Shavlik at (402) 727-6585.